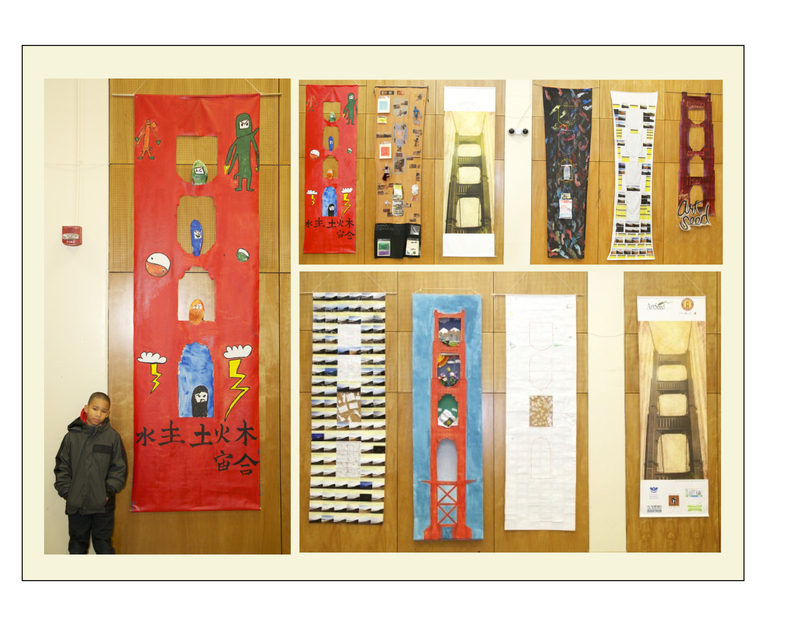 Several banners created by ArtSeed children, youth and affiliate artists are currently on display in the auditorium at Leola M. Havard Early Education School. The banners were originally created for the 75 Reasons Why We Are the Bridge! Exhibition and represent each ArtSeed program.